The Five Star Football program provides opportunities for players (6-14 years old) to play football regardless of athletic ability. There are four levels within the organization that ensures players compete against their peers of like size and age. The four levels are 1st/2nd Grade, 3rd/4th Grade, 5th/6th Grade and 7th/8th Grade. The Five Star program is very unique due to the number of teams and participants as well as rules and regulations to ensure equitable playing time for all players. At Five Star, our mission is to prepare our athletes for life beyond the playing field. We teach the fundamental building blocks for success by providing a sound, structured environment for our youth. The Five Star program promotes and focuses on safety, sportsmanship and most of all having fun. Five Star is a relationship-based and mission-driven organization that exists to promote youth development, education, social interaction and healthy living in an atmosphere that encourages the development and sustenance of lifelong friendships. Through football, we strive to teach our athletes teamwork, courage, honor, sacrifice, persistence, discipline and respect for authority, while also preparing them for the next level of football should they continue playing. We expect our board members, coaches and volunteers to model these core values and to lead by example. Five Star has been serving the Renton community since 1931. Positively impacting the lives of countless families. Five Star brings families together. We connect people of all ages, ethnicities and backgrounds through the experience of playing football. Five Star fosters development. We teach our coaches to nurture the skills, confidence and courage of all participants to help them realize their full potential. 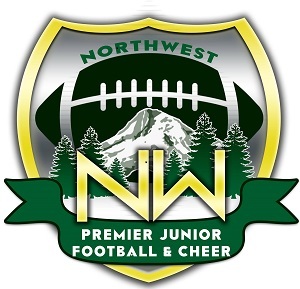 Jr. Football & Cheer (NPJFC) league. Five Star is now a member affiliate Snoop Youth Football League (SYFL).